Jerry will be celebrating 36 years of marriage this year to his wife Carol. He is the father of three grown sons and grandfather of two awesome young boys who reside in Chaing Mai, Thailand. Jerry and Carol entered into the home school arena after having two sons graduated from the public school system. Frustrated, with the public school system Jerry and Carol made the decision to home school their youngest son who was starting in the 5th grade and they have never looked back. 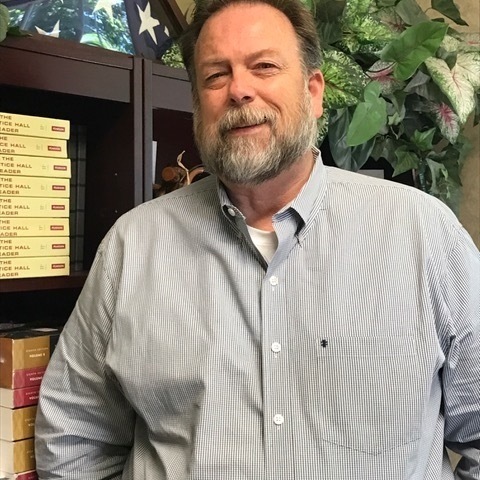 Mr. Yandell attended Roane State Community College, The University of Tennessee but earned his BA in Biblical Studies from Southeastern Baptist Theological College in Wake Forest, NC where he went on to earn his Maters in Divinity with Biblical Languages from Southeastern Baptist Theological Seminary. He is the former Director of Admissions and Student Recruitment for SEBTS and is now working on his 10 year serving as the Dual Enrollment Program Director at Truett McConnell University.